Oliver Symons (born 14.07.93) grew up in Sint-Job-in-'t-Goor and studies in Sint-Michiels college in Brasschaat. 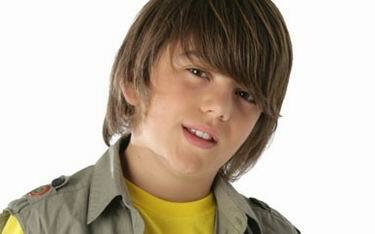 Oliver wrote his first song when he was ten and has not stopped creating music ever since. 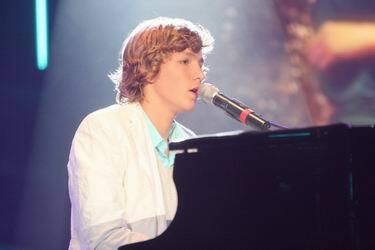 Oliver started playing the piano when he was eight and he is pretty good with a guitar as well. He takes singing classes too. With a father that sung in several bands and a younger brother that plays the guitar, Oliver stems from a musical family. His family also includes an uncle who makes his own guitars and another one who plays the piano. Oliver's grandfather, a cabaret artist, sings and plays the oboe. Once Oliver had accompanied his grandfather Hugh Symons on a piano in a crowded theater performance in Leuven. But usually his appearances are somewhat smaller scaled: at school celebrations and at the music school. Besides music Oliver has another passion: sports. In the winter his favourite one is skiing, in the summer he prefers his surfboard. 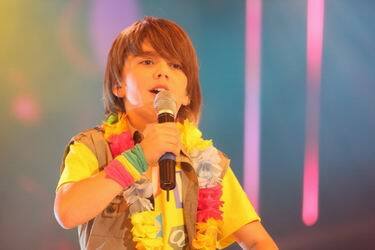 Normally, Oliver writes his songs in English. He gave his song universal title 'Shut Up' so that the whole of Europe will immediately know what it is about. The chorus of the song 'Shut Up' he wrote last year during the skiing holiday in Austria, the rest of the song he wrote this year. He got the inspiration for the chorus while taking a shower. It is a very mature song with a broad sound. It is about a broken relationship, but according to Oliver it is not autobiographical. Next, Oliver went to a recording studio with Jeroen Swinnen (who last year prepared the winning song of the band Trust), one of Belgium’s greatest producers, to come out again a couple days later with a perfectly balanced pop rock song. Trust did badly last year in Rotterdam, but for Oliver it is not problem: "Trust have performed very well last year, but it can happen that people do not vote for you. That may happen to me as well". Coach Wim Soutaer: "Oliver is the oldest candidate: he already knows where he wants to. He has a strong, unique voice. In the music studio, I was particularly impressed how he himself recorded the piano. I know Oliver as a smooth guy, a 'natural' on the stage"
Music Producer Jeroen Swinnen: "Oliver is a true singer-songwriter in waiting. Remember my words, we will here more from this guy later! I think he has a future as a music producer"
According to Junior Eurosong producer Dries Verhaeghe, the presentation of the song for Cyprus stage will be changed, he will be accompanied by three female dancers and drummer. The winner of Junior Eurosong was selected by televoting, but jury members have also expressed their opinion. Andre Vermeulen and Pascale Platel prefered Oliver, while Stijn Kolacny raised his voice for Chloe, who finished 2nd by the viewers decision. 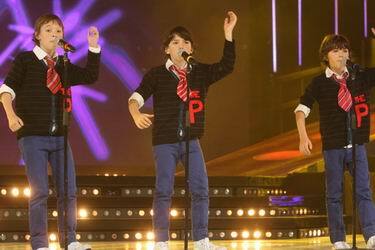 During the final of the national selection participants and their coaches have performed Eurovision medley. 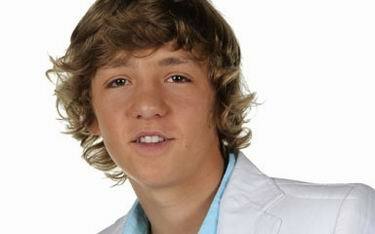 The Belgian panel proclaimed Oliver the new Belgian girls' idol. 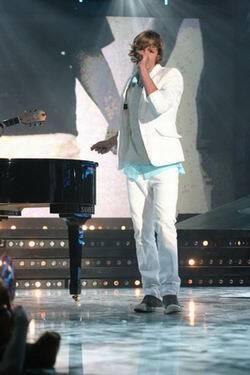 "The song, the singer, the act, it’s just perfect! ", they said. Ever since Oliver has won the election in his home country, he is popular with the press. 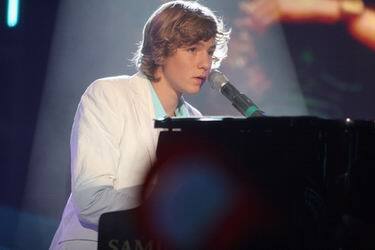 His song Shut Up rocketed to the top of the charts (so far, climbing to top 19) and Belgium is very proud to have him representing the country at the Junior Eurovision Song Contest. 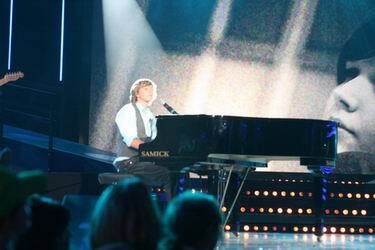 Performances of the participants of the national final are available here. Оливер Саймонс (родился 14.07.93) вырос в Сент-Йоб-ин-т-Гооре и учится в колледже Sint-Michiels в Брасштаате. Когда Оливер был в пятом классе он написал свою первую песню. Он сопровождает свое пение игрой на фортепиано (которой он учится с 8 лет) и немного может играть на гитаре. Он также берет уроки пения. Можно с легкостью сказать, что Оливер происходит родом из музыкальной семьи. Его отец пел в нескольких группах его младший брат играет на гитаре, его дядя делает гитары сам, а другой дядя играет на фортепиано. Дед Оливера, артист кабаре, поет и играет на габое. Однажды Оливер выступал, играя на пианино на концерте его знаменитого дела Хью Саймонса в Лондоне. Но обычно выступления Оливера менее масштабны - на школьных концертах и праздниках. Помимо музыки - еще одна страсть Оливера - это спорт. Зимой он предпочитает кататься на лыжах, а летом на серфинге. Trust заняли невысокое в прошлом году, но Оливер не считает это проблемой: "Они отлично выступили, но бывает, что люди просто не голосуют за тебя. Это может случиться и со мной". Педагог по вокалу Вим Сутер: "Оливер - самый старший участник: он точно знает чего хочет. У него сильный, уникальный вокал. В музыкальной студии я был очень поражен тем, как он сам записал фортепианную партию для фонограммы"
Музыкальный продюсер Йероен Свиннен: "Оливер - настоящий будущий автор и исполнитель. Запомните мои слова - мы еще услышим это имя. Мне кажется, что его ждет большое будущее как музыкального продюсера". Как сообщил продюсер отбора Дрис Верхаге, выступление Оливера на Кипре будет изменено, с ним выступят три танцовщицы и барабанщик. Победитель Junior Eurosong был выбран телеголосованием, но члены жюри также назвали своих фаворитов. Андре Вермеулен и Паскаль Плател предпочли Оливера, а Стийн Колачни высказался за Хло, которая заняла 2е место в результате голосования телезрителей. Во время финала национального отбора участники и их учителя исполнили попурри песен Евровидения. Бельгийское жюри провозгласило Оливера новым кумиром бельгийских девушек. "Песня, певец, номер - все абсолютно великолепно", заявили они. После победы на национальном отборе песня резко вошла в национальные чарты (на настоящее время взобравшись до 19 места) и вся Бельгия гордится своим представителем на Детском Евровидении. Выступления участников финала вы можете увидеть здесь. En je ogen maakten mij blind. En jij ging steeds door het lint. want ik was aan 't woord! En verleiding in je blik. - Hi, Oliver, and first of all our congratulations for the victory at the Belgian national selection! What were your first thoughts when you realized you are the winner of the competition? 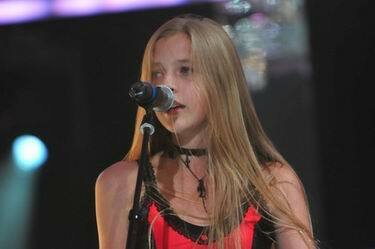 - I couldn’t believe it, I really thought that Chloe would be the winner, I think she is a great singer. But of course I’m very glad that the audience voted for me. It’s an honour for me to be the winner and to represent my country in Cyprus. - I am a normal young man with a lot of interests in music, sports and lots of fun. - Can you please describe what your songs is about to those who didn’t understand Dutch? What is it’s main message? - It’s about a broken love-story but it didn’t happen to me. I just sing‘shut up’ because these are words everybody can understand in the whole world. - How will you visually present your entry on stage? Will it be similar performance as during Belgian national final, or is there plan to add any visual effects for the international audience to understand better your song? - Actually there is a new act with danсers. 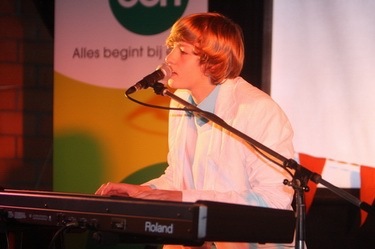 I start playing the piano and at the end I leave the piano and take the microphone in my hand. - What is your plan of preparations for the contest? Is it difficult for you to prepare for the contest and at the same study in school? - Well it’s not very easy because we have the rehearsals for the new act, the rehearsals for my voice and of course a few performances on TV or on stage. I do my best to combine it with my schoolwork. At this moment there is no time left to watch tv or go to my friends. - Can you introduce the team working with you: the vocal coach, choreographer, costume designer, the members of your band? 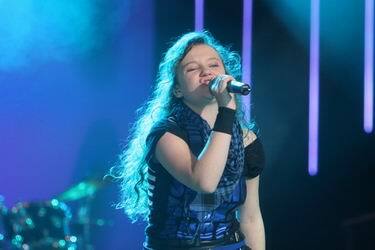 - Are you going to take advice from previous Belgian JESC entrants, may be from Trust? - Yes, Trust gave me already some good advice, they told me just to have fun, cause it will be a wonderful week in Cyprus. - What does attract you in Junior Eurovision contest? Do you like to compete in general? Do you have some favourites from the past of the show? - I think this is a chance for young singers and songwriters to perform in a professional situation. If you have the luck to be in a tv-show you just learn a lot from all the professional coaches. It’s an exceptional opportunity. And no, I have no problems with competitions. Yes my favourites in the past were X!nk of Belgium. 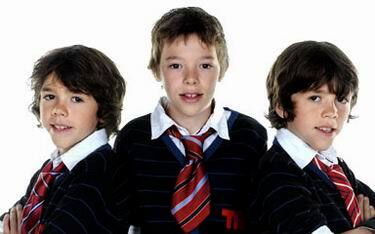 This was a teenagers band. They were and still are very good. - I just want to have a good time and hope I will make lots of friends. Of course it would be nice if the rest of Europe will like my song. 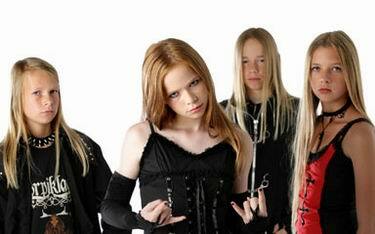 - Have you chance to listen to the entries from other countries in Junior Eurovision 2008? - Yes, I think there are a lot of good songs. - Can you tell us, how looks your basic day? What activities do you usually have? How do you spend free time? - Every day I go to school by bike, it’s about 12 km. Three evenings a week I go to the music courses, on Wednesday afternoon I play tennis. Of course I have some homework to do for school. And I play a lot on my piano and guitar. On Sunday I go to the ‘chiro’, an organisation for youth. I also like windsurfing and skiing in winter. - My dream is become a professional sing a song writer. I’ve already written several songs and I hope the record company gives me the chance to release some of them. But I’m only 15, I still have a lot to learn, so there is no hurry. But if I have the chance to continue, I’ll take it with both hands. I won’t quit school of course! - Anything else you want to tell to the readers of this interview? - If you’re dreaming to be part of the singers on the tv-screen: don’t hesitate! Don’t lay there and dream, just go for it and try. You must take your time to prepare a good song and take your chance to participate. You have nothing to loose. I didn’t expect to be one of them but it happened. I didn’t expect to go to the final in Belgium, but…I won. Of course I’m very happy now. - Thanks a lot for answering and see you in Cyprus! - Привет, Оливер, и прежде всего наши поздравления с победой на бельгийском национальном отборе! Какая была твоя первая мысль, когда ты поняла, что побеждаешь на этом конкурсе? - Я не мог в это поверить. Я всегда думал, что победит Хло, мне кажется, что она отличная певица. Но, конечно же я рад, что зрители проголосовали за меня. Это большая честь для меня стать победителем национального отбора и представить свою страну на Кипре. - Пожалуйста, представь себя в одном предложении? - Я обычный молодой человек, меня интересуют музыка, спорт и я люблю веселиться. - Расскажи нам, о чем твоя песня? - Это история о разбитой любви, но она случилась не со мной. Я пою "shut up", потому что эти слова могут понять во всем мире. - Как ты представишь свою песню на сцене? Будет ли твое выступление похоже на то, что мы видели во время бельгийского отбора, или вы планируете изменить его для международной аудитории, чтобы она лучше поняла вашу песню? - У нас будет совсем новый номер с танцовщицами. Я начинаю за фортепиано и в конце встаю и держу микрофон в руке. - Каковы твои планы подготовки к конкурсу? Тяжело готовиться к конкурсу и одновременно учиться в школе? - Это нелегко, потому что у нас много репетиций, нового номера, вокальные репетиции, а также выступления на телевидении или на сцене. Я пытаюсь совместить это с учебой в школе. В данный момент это происходит за счет просмотра ТВ или общения с друзьями - на это просто не остается времени. - Можешь представить свою команду: педагога по вокалу, хореографа, костюмера, бэк-вокалистов? - У меня три танцовщицы, очень красивые девушки, ударник, и я за фортепиано. Наш хореограф - это Фарид Айт Мулюд, педагог по вокалу - Даниель Климан и костюмер - Марк Вотерс. - Ты будешь советоваться с предыдущими представителями Бельгии на Детском Евровидении, например с Trust? - Да, я с Trust уже говорил и они дали мне хороший совет - просто стараться получать удовольствие, потому что эта неделя на Кипре должна стать восхитительной. - Что привлекает тебя в конкурсе Детское Евровидение? Тебе вообще нравится участвовать в конкурсе? Есть ли у тебя фавориты из прошлого? - Я считаю, что это очень хороший шанс для молодых певцов и авторов песен выступить на профессиональном уровне. Если ты попадаешь в телешоу, то тебе представляется уникальная возможность очень многому научиться от профессиональных педагогов. У меня нет никаких проблем с участием в соревнованиях. В прошлом мне нравилась группа X!nk, они до сих пор выступают на очень хорошем уровне. - Какая твоя цель на конкурсе? Ты стремишься к победе, или просто хочешь хорошо провести время и завести много новых друзей? - Я просто хочу хорошо провести время, и конечно, надеюсь завести многих друзей. Конечно, было бы хорошо, если бы Европе понравилась и моя песня. - Ты уже слышала песни, которые представят на конкурсе другие страны? - Да, я считаю, что там много хороших песен. - Расскажите нам, как выглядит твой обычный день? Чем ты обычно занимаешься, как проводишь свободное время? - Каждое утро я еду в школу на велосипеде, это около 12 километров. Три дня в неделю я хожу на уроки музыки, а по средам вечером я играю в теннис. Конечно, я еще делаю домашние задания. Я также очень много играю на фортепиано и гитаре. В воскресенья я хожу в "Хиро", молодежную организацию. Я также люблю виндсерфинг, а зимой - кататься на лыжах. - Какие планы у тебя после конкурса? Ты хочешь стать профессиональным певцом в будущем? - Моя мечта стать профессиональным автором и исполнителем. Я уже написал несколько песен, и я надеюсь, что рекорд-лейбл даст шанс выпустить некоторые из них. Но мне всего 15 лет, мне еще многому надо учиться, поэтому я не спешу. Но если мне предоставиться шанс продолжить музыкальную карьеру, я возьму его обоими руками. Но из школы я, конечно, не уйду! - Хочешь ли добавить что-то еще для читателей этого интервью? - Если вы хотели бы стать певцами, не лежите и не мечтайте - работайте и пытайтесь пробиться. Вы должны потратить время и приготовить хорошую песню, и отослать ее на конкурс. Терять вам нечего. Я никогда не ожидал, что попаду даже в финал - но это произошло. Я не ожидал, что я выиграю отбор - но я победил! И, конечно, сейчас я очень счастлив. - Спасибо за интервью, и удачи в подготовке! 06/11 Oliver is ready for Cyprus. That showed during the Press yesterday in his home town Sint-Job-in-'t-Goor, as reports Eurosong.be. Even mentally he is prepared: "'If you do not expect too much, you can not be disappointed", he says. Oliver is satisfied with his seventh starting number in Limassol. "Trust were second last year. That's slightly less favorable. I can not complain", he says. He welcomed arrival of juries this year, but declared: "That's maybe an advantage, but you can not predict whether those people will also vote for their neighbours". Meanwhile, Oliver has listened to and viewed his competition rivals. Though he had praise for all candidates, the contributions from Macedonia, Belarus and Armenia were specially noticed. And what about the Netherlands? "I think Marissa sings very well," Oliver replied. The only real criticism that so far was heard about "Shut up" also can be interpreted positively: it is why Flanders send every year very adult songs that are too good for this festival. 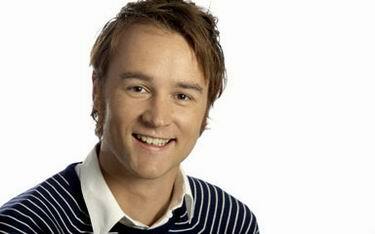 Oliver had a reply to that: "I do not think that you can quickly write a song that is too good. 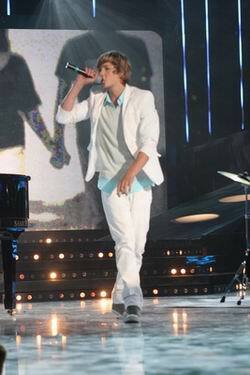 I want to make a very good performance, perfect singing and doing my thing perfectly. Then I'll be happy. At whatever place I finish. I would prefer not to be last"
"If I ever participate in adult Eurosong, I would certainly sing in English", Oliver said. The young singer now has already eight songs, but there are no plans for an album yet. "We have not yet had discussions with record companies" he mentioned. The Press conference was also attended by Oliver's coach Wim Soutaer. "We worked very well together during Junior Eurosong. Unfortunately, he will not go to Limassol", informed Oliver. Even his grandfather Hugh Symons will not be supporting him in Cyprus. "He is on vacation during that period, but he will certainly be watching." The people of Sint-Job-in-'t-Goor will support Oliver from the home. "They will follow the contest on a big screen here," said an enthusiastic Oliver. Оливер готов к выступлению на Кипр, что он продемонстрировал на вчерашней пресс-конференции прошедшей в его родном городе Sint-Job-in-'t-Goor. Он готов даже морально: "Если много не загадывать, не расстроишься", говорит певец. Оливер доволен седьмым стартовым номером. "Trust пели вторыми в прошлом году. Это немного хуже. Мне нечего жаловаться", говорит он. Певец поприветствовал введение голосования жюри, но заявил: "Это может стать преимуществом, но пока нельзя предсказать, проголосуют ли эти люди тоже за соседние страны". Оливер уже прослушал и посмотрел клипы всех других стран, принимающих участие в конкурсе. Хотя он похвалил всех кандидатов, но особенно отметил песни из Македонии, Беларуси и Армении. Что он думает о Нидерландах? "Мне кажется Марисса поет очень хорошо", ответил Оливер. Единственный критицизм, который предъявляется к песне "Shut up" может быть интерпретирован и с положительной стороны: почему Фландрия каждый год посылает на конкурс взрослые песни, которые слишком для него хороши? У Оливера есть ответ на это: "Я не думаю, что легко написать песню, которая будет очень хороша. Я хочу прежде всего хорошо выступить, хорошо спеть, чтобы все задуманное получилось. Тогда я буду доволен. Какое бы место я не занял. Правда я не хочу стать последним". "Если я буду когда либо принимать участие во взрослом Евровидении, я несомненно буду петь на английском", рассказал Оливер. У певца уже готовы восемь песен, но планов на выпуск альбома пока нет. "Мы еще не обсуждали этот вопрос со звукозаписывающим компаниями", отметил он. Пресс-конференцию также посетил преподаватель Оливера Вим Соутер. "Мы очень хорошо поработали с ним во время национального отбора, но, к сожалению он не поедет в Лимассол". Даже дедушка Хью Симонс не будет поддерживать Оливера на Кипре. "Он в это время поедет в отпуск, но будет непременно смотреть шоу". Жители Sint-Job-in-'t-Goor будут поддерживать Оливера дома. "Они будут смотреть конкурс на большом экране", с энтузиазмом рассказал Оливер. 05/11 Belgian VRT has announced their broadcasting plans and additional information on preparations of the singer Oliver to the Junior Eurovision 2008. Charming Chloe, who finished 2nd in Junior Eurosong 2008 with her ballad Un nouveau reve will be Belgian spokesperson at the event. Chloe is very honoured to get this role and is now already secretly rehearsing in front of the bath room mirror. Never change a winning team, VRT thought, and therefore Ben Roelants and Kristien Maes just like last year, will be providing expert comments from Limassol to the Belgian viewers. Ben is working at Donna and also presents "De Naaktkalender" on Een, but fans mainly know him as the presenter of Junior Eurosong 2008. Kristien also has worked for Donna and currently presents the Hit 50 on Studio Brussels. 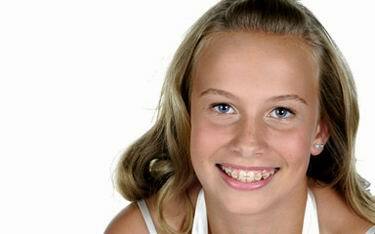 The younger viewers and listeners also know her as Ketnet presenter and as one of the familiar voices of Ketnet radio. 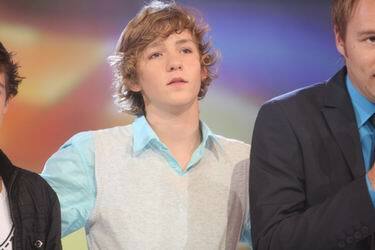 It appears that Belgian entrant, Oliver, is the oldest of all participants of JESC 2008, being 15. Dutch Marissa is second oldest, but few monthes younger than Oliver. If you sum the total age of all candidates, you can get exactly three hundred years or an average age of 12 years. Romania, Georgia and Lithuania have the youngest participants of 10 years, the minimum age to participate. In recent weeks and days Oliver has plenty of work on a new act for the festival. In the preliminary rounds, he was surrounded by musicians, but in the finals that will no longer be the case. The piano is still Oliver's central act. Charlott, Emily and Elisabeth are the three professional dancers who will assist Oliver. The idea behind the choreography of Farid Ait Mouloud, who also cooperated with Junior Eurosong 2008, is the game of attraction and rejection… To make everything even more powerful, a percussionist will appear on stage as well. He will be using two giant gong basses, so be prepared for a powerful Belgian act! The percussionist, Michael, is not unknown to the fans of the contest, because last year he performed with Bab in the Junior Eurosong. You can watch rehearsal report from "De Rood Loper" show here. A new act also brought a change of costumes. Stylist Mark Wauters chose Oliver and his dancers a stylish, contemporary outfit with predominantly white shades. In Belgium, the "Shut Up" single is already four weeks in Ultratop 50 and in the Flemish top 10, the Kids Top 20 and the top 3 of Ketnet radio. 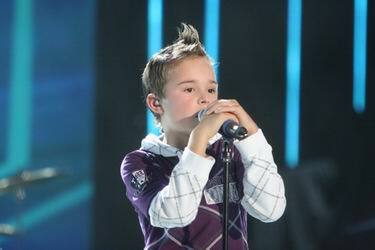 The album Junior Eurosong 2008 has reached gold status. In its eighth week album occupies 4th place in the charts. For the latest news about Oliver's preparations you can visit the special site http://www.een.be/oliver (also available in English). Oliver will be in Cyprus from November 16th and each day he will be blogging about his experiences in Cyprus, along with interesting photographs, films and facts. Oliver departs early on Sunday, November 16 to Cyprus. He will be back on Sunday, November 23 at around 22.10. Preparations of Oliver in Karrewiet: from Monday, November 17 to Friday, November 21 at 18.10, repeating at 19.25 and the next day at 8.45. Preparation of Oliver in "De Rode Loper", Wednesday, November 5th at 18.10. 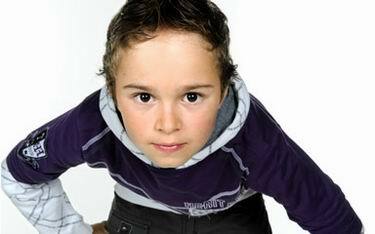 Junior Eurovision 2008, Saturday, November 22 at 20.15 hours on Een and Sunday, November 23 at 9.50 on Ketnet. Бельгийская телекомпания VRT объявила о своих планах эфиров, посвященных Детскому Евровидению и о том, как проходит подготовка певца Оливера к этому мероприятию. Очаровательная Хло, которая заняла второе место на национальном отборе этого года с балладой Un nouveau reve уже начала в тайне готовится к своей роли "глашатая" практикуясь перед зеркалом. Она считает это очень почетной обязанностью и хочет подготовиться к ней самым лучшим образом. Никогда не меняйте успешную команду, подумали боссы телеканала, и Бен Роелантс с Кристин Маес, как и в прошлом году будут комментировать Детское Евровидение из Лимассола для Бельгийских зрителей. Бен известен как ведущий радио Донна и шоу "De Naaktkalender" на Een, но поклонники его знают прежде всего как ведущего национального отбора 2008 года. Кристин также работала на Донна, а в настоящее время ведет Хитпарад Hit 50. Юным слушателями и зрителям она известна как ведущая детского канала Ketnet и передач на Ketnet радио. Как оказалось, Оливер, представитель Бельгии - самый старший из участников шоу этого года, ему уже исполнилось 15 лет. Марисса, которая представляет Голландию - вторая по старшинству, но на несколько месяцев младше Оливера. Если сложить возраст всех исполнителей - то получится 300 лет, или в среднем 12 лет. Румыния, Грузия и Литва выставили самых маленьких исполнителей, им 10 лет - это низший возможный возраст для участия в конкурсе. За последние дни у Оливера было много новой работы над подготовкой к конкурсу. В предварительных раундах с ним выступали музыканты, но к финалу Евровидения его номер будет изменен. Хотя фортепиано останется его центральной частью. Вокруг фортепиано будут танцевать три профессиональные танцовщицы - Шарлотта, Элизабет и Эмили. Хореографию номера подготовил Фарид Айт Мулуд, который также работал с участниками национального отбора. Суть номера будет заключаться в истории "привлечения и отталкивания". На сцене также выступит барабанщик Мишель, который уже знаком зрителям, поскольку в прошлом году он выступал с Баб, второй призеркой национального отбора. Репортаж о репетициях из шоу "De Rood Loper" вы можете увидеть здесь. Новому номеру потребовались и новые костюмы. Стилист Марк Вотерс выбрал для Оливера и его танцоров стильные, современные одежды в основном белого цвета. В Бельгии сингл на песню "Shut Up" весьма успешно уже в течении 4х недель входит в чарты Ultratop 50, Фламандский top 10, Детский top 20 и top 3 радио Ketnet. Альбом национального отбора уже достиг золотого статуса, на 8й неделе его продаж он продолжает удерживаться на 4м месте чартов. Самые свежие новости о подготовке Оливера к конкурсу вы можете найти на специальном сайте http://www.een.be/oliver. Оливер будет на Кипре с 16 ноября и каждый день будет писать в свой блог о происходящем с интересными фотографиями, фактами и видео. Оливер отбывает на Кипр рано утром 16 ноября и вернется назад 23го ноября в 22.10. Дневники конкурса в Karrewiet: с 17 по 21 ноября в 18.10, с повтором в 19.25 и на следующий день в 8.45. Подготовка Оливера в программе "De Rode Loper", 5го ноября в 18.10. Детское Евровидение 2008, 22 ноября в 20.15 на Een с повтором в воскресенье в 9.50 на Ketnet. 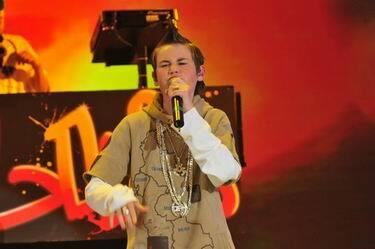 Een has confirmed keeping duo Ben Roelants and Kristien Maes as commentators of Junior Eurovision 2008. 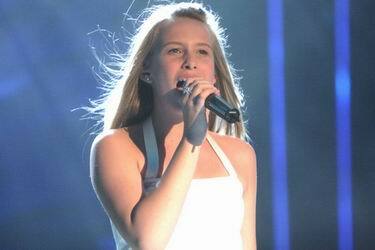 Chloe, runner-up of Junior Eurosong 2008 will be Belgian spokesperson. It is a tradition that whoever finishes 2nd in the national preselection gets this role. Een подтвердило, что Бен Роелантс и Кристиен Маес вновь будут комментаторами Детского Евровидения в этом году. Хло, занявшая второе место на национальном отборе этого года, будет объявлять результаты Бельгийского голосования. Это традиция, что второй призер отбора становится "глашатаем" страны. 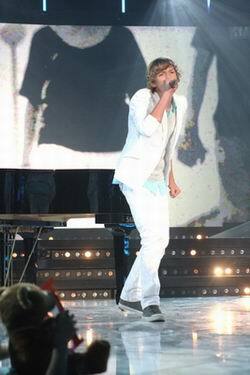 20/09 Semifinal of Belgian Junior Eurosong 2008 took place. Six entries have been presented and four of them proceeded to the national final to be held next week. Jury selected one of the finalists, while televoting added three more. 01. The Pinsons - Waarom? You can watch semifinal performances here. Состоялся полуфинал Бельгийского национального отбора. В нем приняли участие шесть песен и 4 лучшие из них вышли в национальный финал, который состоится на следующей неделе. Жюри отобрало одного полуфиналиста и еще три были добавлены телезрителями. Выступления участников полуфинала вы можете увидеть здесь. 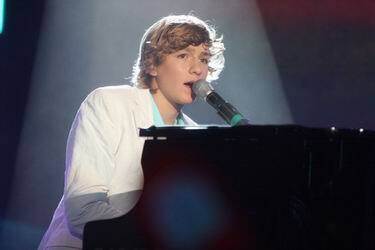 Second qualifying round of Belgian Junior Eurosong 2008 took place on Saturday. Five entries have been presented and three of them proceeded to the next round. Jury selects one of the semifinalists, while televoting adds two more. You can watch all performances here. Состоялся второй раунд Бельгийского национального отбора. В нем приняли участие пять песен и 3 лучшие из них вышли в следующую стадию отбора. Жюри отобрало одного полуфиналиста и еще два были добавлены телезрителями. Записи всех выступлений вы можете увидеть здесь. 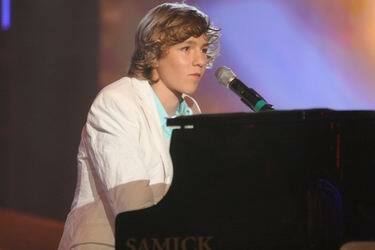 First qualifying round of Belgian Junior Eurosong 2008 took place on Saturday. Five entries have been presented and three of them proceeded to the next round. Jury selects one of the semifinalists, while televoting adds two more. Viewing figures: 384,227 viewers (share 19.7%, rating 6.6%). The ratings demostrate clear drop year by year. You can watch song presentations online here. Состоялся первый раунд Бельгийского национального отбора. В нем приняли участие пять песен и 3 лучшие из них вышли в следующую стадию отбора. Жюри отобрало одного полуфиналиста и еще два были добавлены телезрителями. Рейтинги шоу составили: 384 227 зрителей (доля 19.7%, рейтинг 6.6%). Явно прослеживается тенденция снижения рейтингов от года в год. Выступления первых участников вы можете посмотреть здесь. 01. 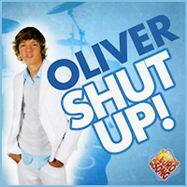 Oliver - "Shut up"
02. Elke - "Geniet van elk moment"
03. Vince - "Al fluitend door het leven"
01. Didier & Charlotte - "Samen"
02. 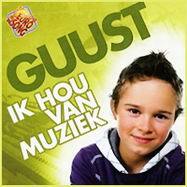 Guust - "Ik hou van muziek"
03. MC Louis - "In de echte wereld"
04. 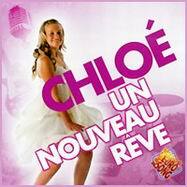 Chloe - "Un nouveau reve"
05. Mystery of Darkness - "Familierock"
The list of participants of Belgian selection, chosen from 548 entries, has been revealed. Quaterfinals, of 5 entries each, will take place on September 6th and 13th. Jury (Stijn Kolacny, Pascale Platel, Andre Vermeulen) will select one of semifinalists, while televoters will add two more from each round. Semifinal of 6 entries will take place on 20th of September. Jury will select one finalists and 3 more will be added via televoting. Final of 4 songs will take place on 27th of September. Объявлен список участников Бельгийского национального отбора, которые были выбраны из 548 поданных заявок. Четвертьфиналы, из 5 песен каждый, состоятся 6го и 13 сентября. В каждом раунде, жюри (Stijn Kolacny, Pascale Platel, Andre Vermeulen) выберет одного полуфиналиста, и телезрители добавят еще двух. Полуфинал из 6 песен пройдет 20го сентября. Вновь жюри выберет одного финалиста и телезрители добавят трех. Финал из 4х песен пройдет 27го сентября. 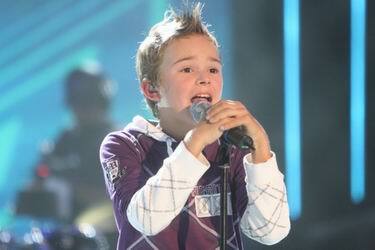 On Thursday, August 7th Belgian broadcaster Een will introduce the participants of Junior Eurosong 2008. Press will get an opportunity to become acquainted with participants of the Belgrian national selection. The gathering will take place in Mini-Europa at the Heizel in Brussels. Not only the candidates will be presented, but the hosts of the show, and the coaches - Ann Reymen, Saartje Vandendriessche, Wim Soutaer, Kobe Van Herwegen, Raf Stevens of the Paranoiacs will be available to the press. 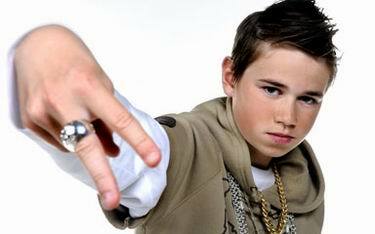 Ben Roelants has been confirmed as presenter of "Junior Eurosong", which will include 4 live shows, starting from September 6th. В четверг, 7го августа, бельгийская телекомпания Een презентует участников Junior Eurosong 2008. У прессы будет возможность познакомиться с ними и взять интервью. Собрание пройдет в Mini-Europa в Хейцеле в Брюсселе. На встрече будут присутствовать не только кандидаты, но и ведущие шоу, а также преподаватели - Энн Реймен, Саартье Вандендрише, Вим Соутер, Кобе Ван Хервеген и Раф Стивенс из группы Paranoiacs. Бен Роелантс будет ведущим "Junior Eurosong", который будет состоять из 4х шоу, начиная с 6го сентября. 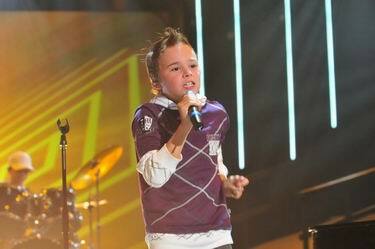 Flemish broadcaster Een has launched preselection process for Junior Eurovision 2008. Candidates for Junior Eurosong 2008 should be born between 23rd November 1992 and 22nd November 1998, have the Belgian nationality or have been residing in Belgium for at least 2,5 years. Songs can only be written in Dutch. Submission deadline is set on 14th of February 2008. Update: Belgium received 548 songs, out of which 10 will be selected to take part in the national final, scheduled for 27th of September. Бельгийский телеканал Een начал процесс отбора представителя на Детское Евровидение 2008. Кандидаты должны быть рождены между 23м ноября 1992 и 22м ноября 1998 года, иметь бельгийское гражданство или проживать в Бельгии как минимум 2.5 года. Песни должны исполнять только на голландском языке. Крайний срок подачи заявок - 14 февраля 2008 года. Обновление: В Бельгии получено 548 заявок, 10 из них попадут в финал национального отбора, назначенный на 27 сентября.